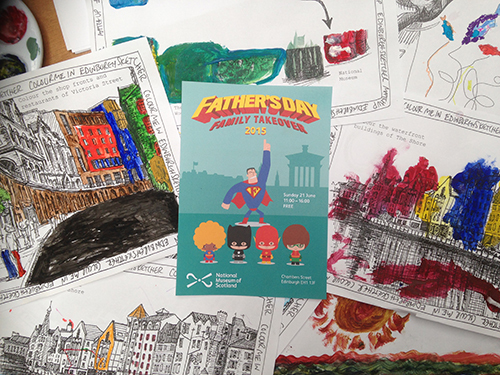 Last week I was at the Father’s Day Family Takeover at the National Museum of Scotland on Chambers Street, Edinburgh. For the second year running Dad’s Rock and a huge number of local companies and volunteers took over the stunning venue to celebrate Father’s Day. 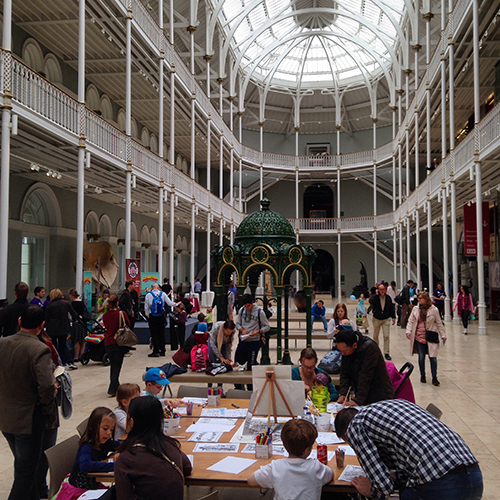 I had a stall in the main hall this year from where I ran sketch tours and provided lots of drawing, painting and messy fun with my Edinburgh themed activity sheets. 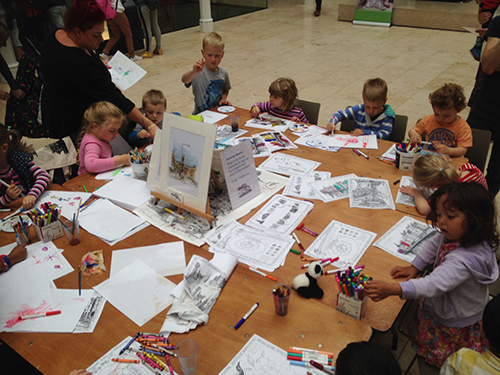 The colouring in sheets were hugely popular, especially the Shore and Victoria Street. 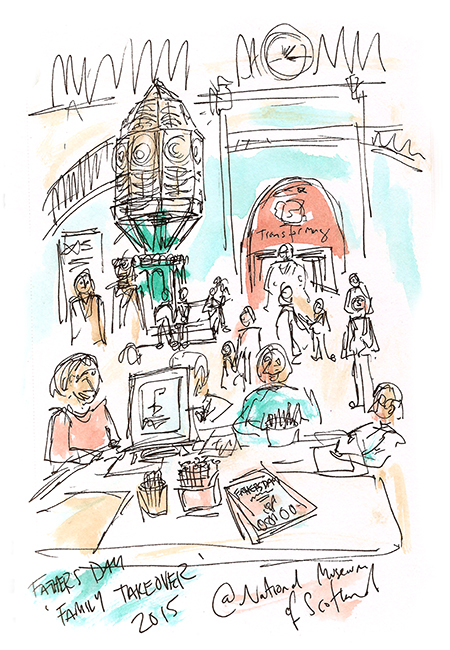 They were beautifully and enthusiastically coloured in by the parents as much as the children, so thank you to everyone who stopped by to mess up the table!! See the Dad’s Rock website for their free summer events in 2015. Margaretha Yvs Mynk liked this on Facebook. Alison Gardner liked this on Facebook. Caroline Hill liked this on Facebook. Carolyn Cockram liked this on Facebook. Wester Hailes Community Council liked this on Facebook. Nora MC liked this on Facebook. Tomcat Lynch liked this on Facebook. Carla Montagner liked this on Facebook. Anais MorCamp liked this on Facebook. 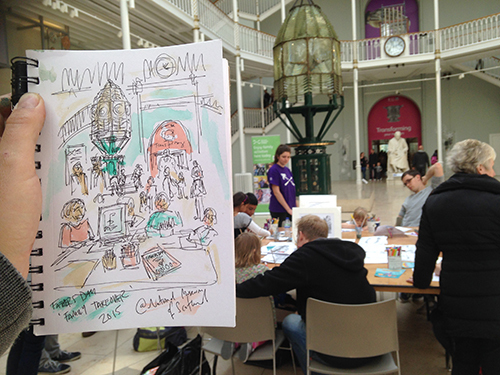 @edinsketcher @NtlMuseumsScot Great photos, thanks!